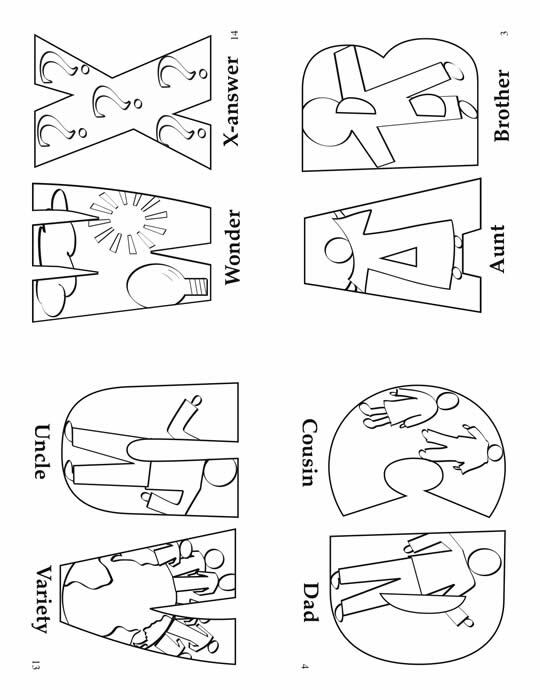 The Family Alphabet is a MasterSet created for children in pre-school, kindergarten and primary grades. 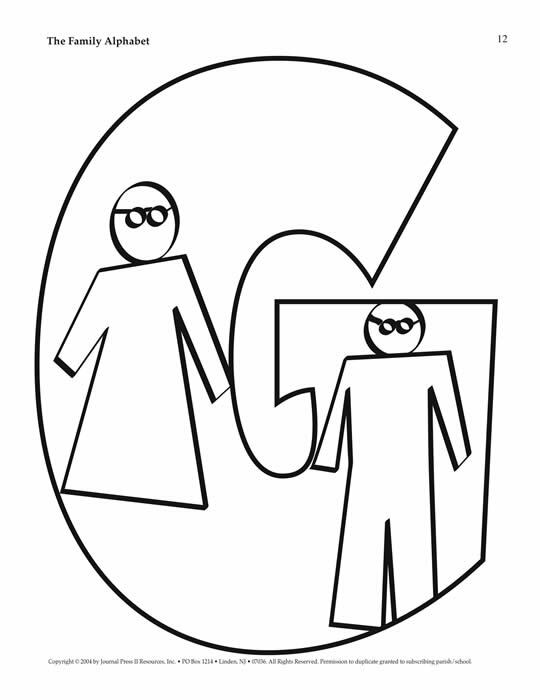 Teachers and catechists are encouraged to use it and custom design it according to the needs, abilities and interest level of their particular group. 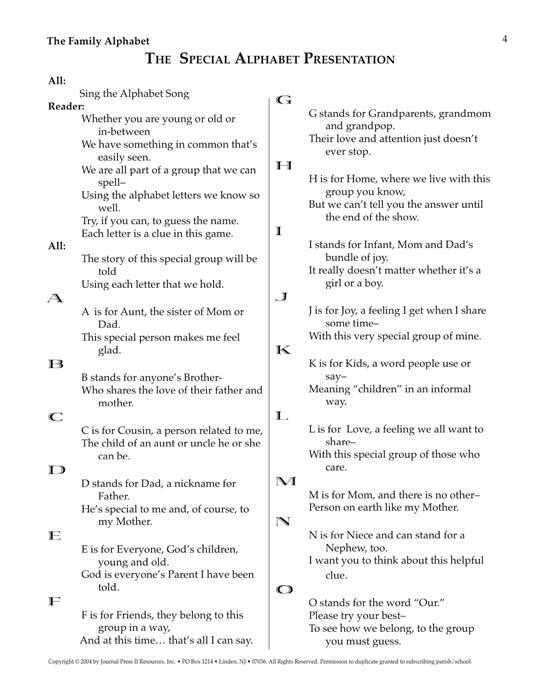 The Family Alphabet is a multi-purpose MasterSet that can be used with children who are just learning the letters of the alphabet or those who have already mastered it. Religious Education and Language Arts, art projects, a presentation during a Family Day, classroom decorations and a take-home projectfor families to use with children. 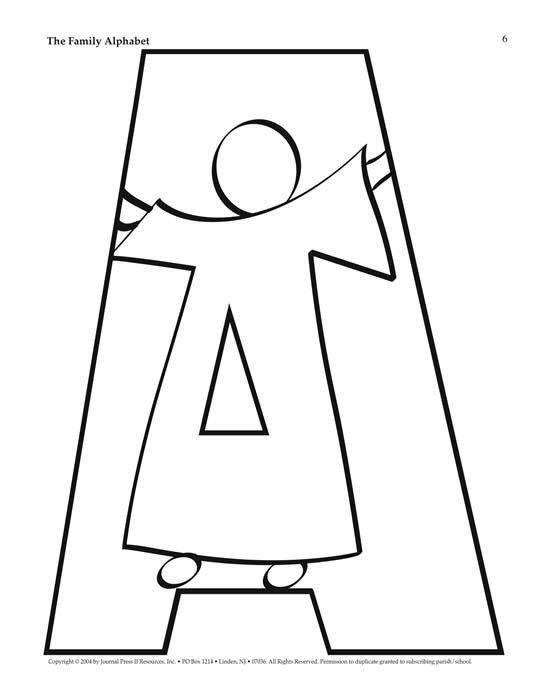 Teachers and catechists should add their own creative ideas as they introduce each letter. They should encourage the children to try to think of other family words or those that suggest belonging, community or Christian family life that begin with the same letter. Your purchase (below) will enable the placement of the complete 35 page Master Set PDF (1.2 MB) on your computer. You will receive an e-mail to enable your immediate download.